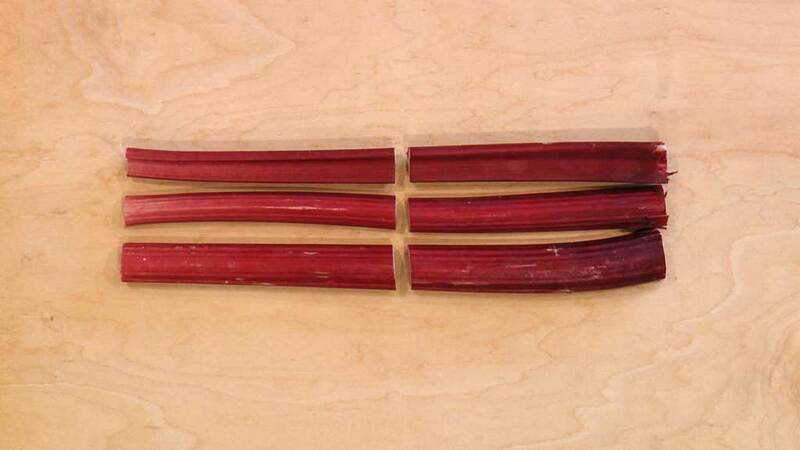 This is what rhubarb looks like at my supermarket. It’s several individual stalks bound together with ties. 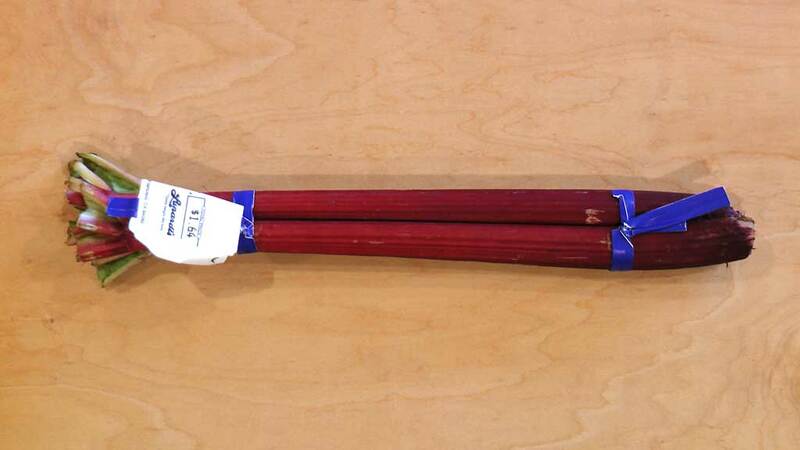 They come in different sizes; I bought a small bundle of four stalks to experiment with. 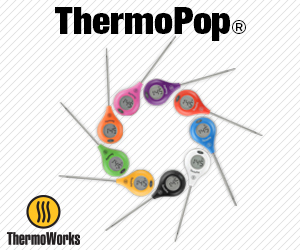 Preheat your gas grill for 10 minutes with all burners on MEDIUM, then clean the grates with a good quality grill brush. Remove the ties and cut off the leaf-end and root-end of each stalk. 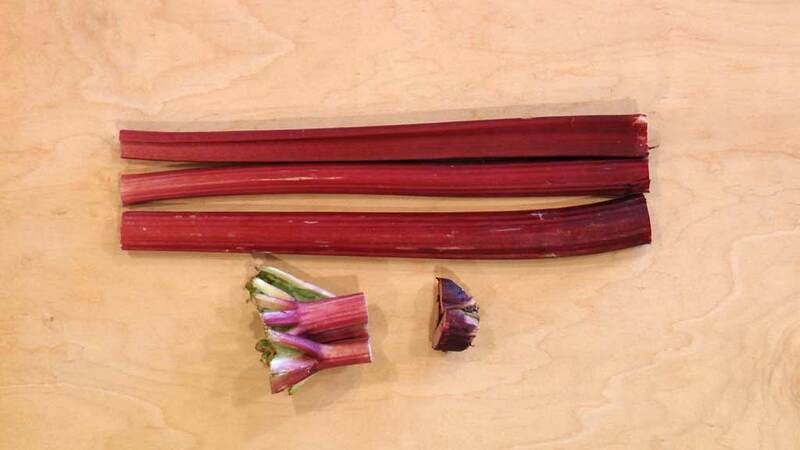 Cut each stalk in half to make it easier to handle throughout the rest of the process. Rinse the pieces under running water then shake off the excess, leaving pieces slightly damp. 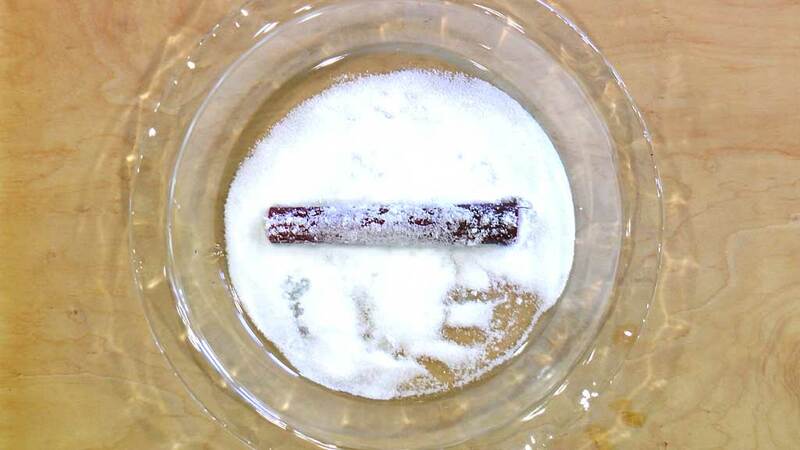 Pour a small amount of granulated sugar into a pie plate. 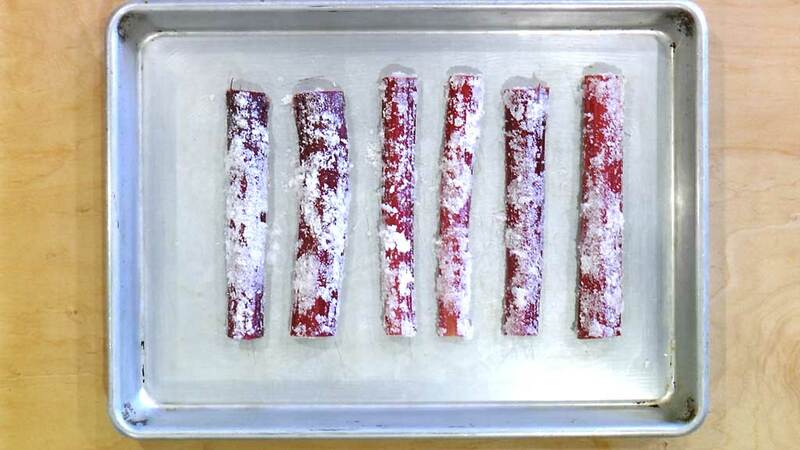 Working with one piece at a time, roll the rhubarb in the sugar to coat on both sides. 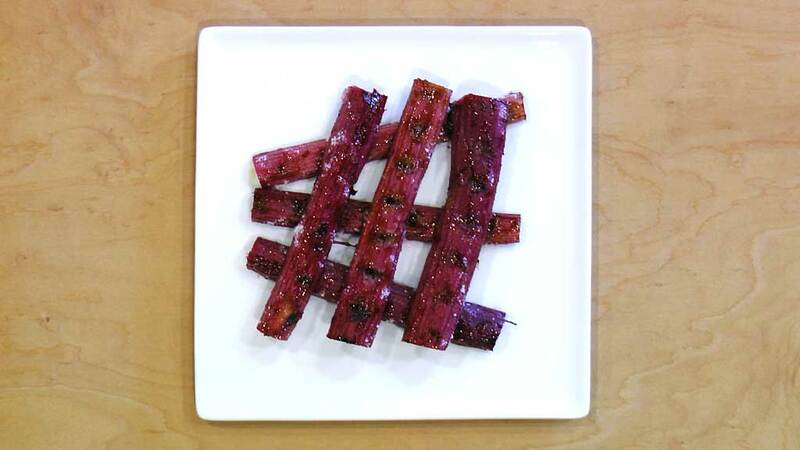 You’re now ready to grill the rhubarb. 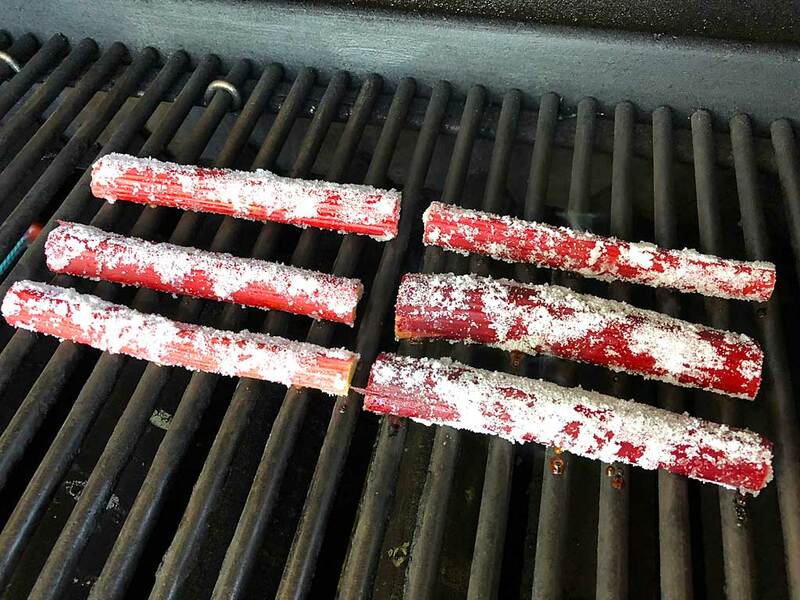 Place the rhubarb pieces on the grill over MEDIUM heat. 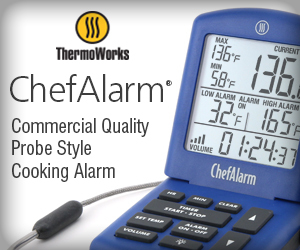 Grill with the lid open so you can carefully monitor the process. Grill for 2 minutes on the first side, then flip to the other side and grill for another 2 minutes. A good pair of tongs makes the job easy. Flip back to the first side and grill for another 2 minutes, then start checking for doneness. 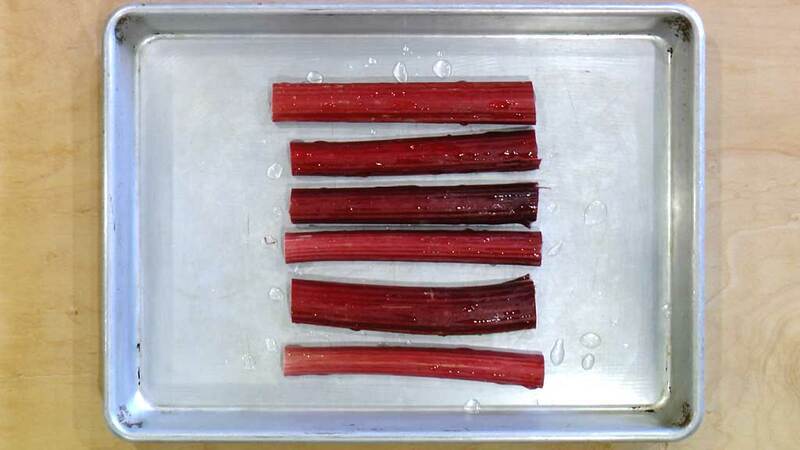 You want the rhubarb pieces to be softened but not limp. Thinner pieces will finish sooner than thicker pieces. My thinner pieces finished in 6-7 minutes, my thicker ones in 7-8 minutes. 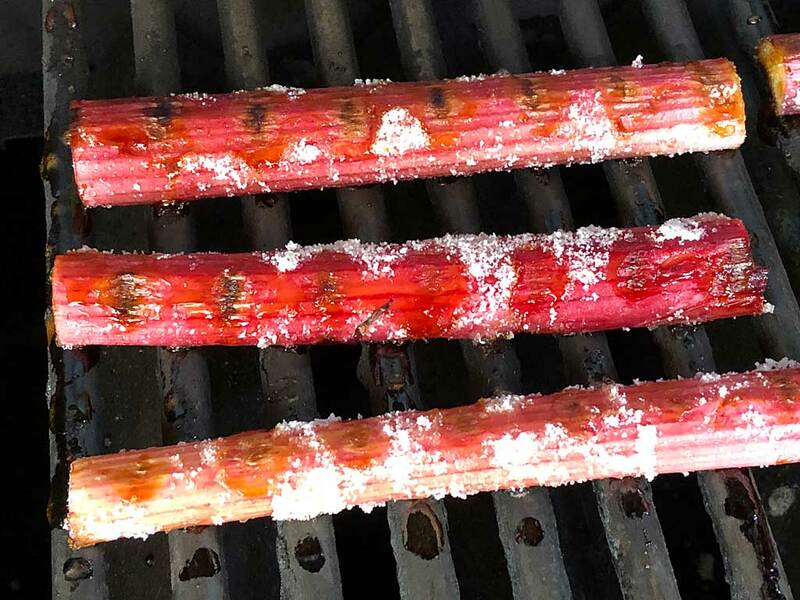 Remove the rhubarb from the grill and enjoy immediately. This one is for the true rhubarb lover who likes tart! The rhubarb has it’s characteristic tartness, while the caramelized sugar adds a note of sweetness that’s very pleasing. 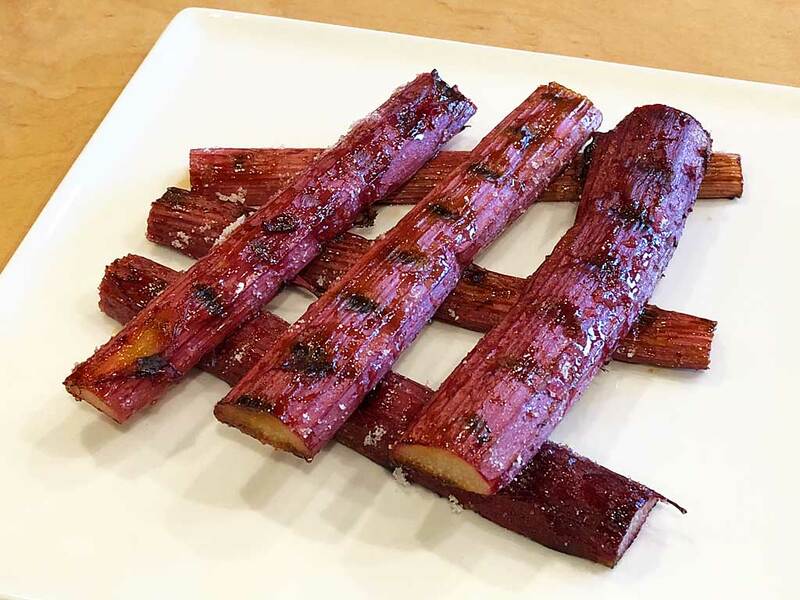 You can eat grilled rhubarb as shown here, or cut it into smaller pieces and mix it with fresh fruit, use it as a topping on yogurt, or as part of a strawberry/rhubarb crumble.